Polish Pianist, Michal Korzistka, performs works by Chopin, Paderewski, Kilar, and Glenc. 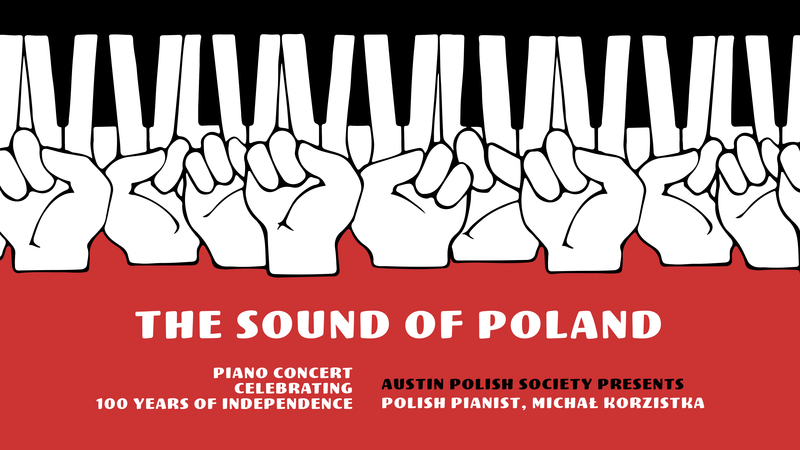 performs musical gems by Polish composers. The history of Poland is long, interesting, and convoluted. The country went through good and bad times, changed territories, rulers, political systems, and in 1918, regained independence lost for 123 years. 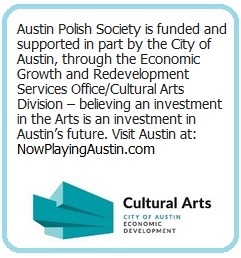 Art and culture reflect and translate history in a unique and valuable way. 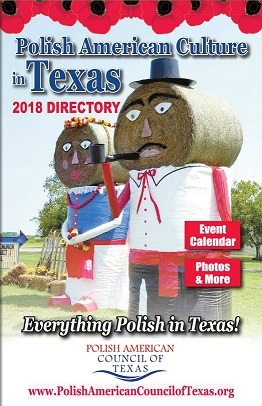 Musical centennial celebrations this year come to Austin from Poland with professor of piano at the University of Silesia in Cieszyn, Poland. A reception with artist in attendance will follow the concert – please join us! Michał Korzistka – pianist, chamber musician, teacher, in the years 2008-2016 director of the Institute of Music in Faculty of Arts in Cieszyn, Silesian University in Katowice. Born in 1961 in Bielsko-Biała, he took his first piano lessons from his grandmother, Helena. He is a graduate of the Music School in Bielsko-Biała in the piano class of Z. Tanewski, the Music Academy in Katowice in the class of prof. T. Żmudziński, and Postgraduate Piano Study at the Music Academy in Warsaw under the supervision of prof. J. Sulikowski. He perfected his skills at the master course with prof. R. Buchbinder in Zürich. Dr. Korzistka has participated in many competitions and festivals in his native Poland and abroad, including Young Talents in Opole and Tarnów, K. Szymanowski National Piano Competition in Łódź, the Polish Piano Festival in Słupsk, International Piano Competition Rina Sala Gallo in Monza, Italy, II International Music Competition in Tokyo, Japan, the International Music Competition in Montreal, 42 International Chopin Festival in Duszniki.